The Horseshoe Inn is a beautiful, family run, country pub, situated just thirty minutes south of Edinburgh. An Ideal peaceful retreat if you are visiting Edinburgh fringe festival or Military Tattoo! We are only a few miles away from the beautiful town of Peebles and the famous river Tweed. Glentress and 7 Stanes are also within minutes from us. We serve fresh food 7 days from our extensive menu. This can be washed down with an excellent selection of real ales, craft beers, artisan gin, delicious wines and everything else you’d expect in a country pub. You can even bring the dog and the kids along! There are eight en-suite bedrooms located in a sympatheticaly converted Victorian schoolhouse adjacent to the Inn. Our best rates bed and breakfast are always on our website so book direct with us. Recommended by Stevenson’s Scotland’s Good Hotel and Food Guide and the Good Hotel Guide. 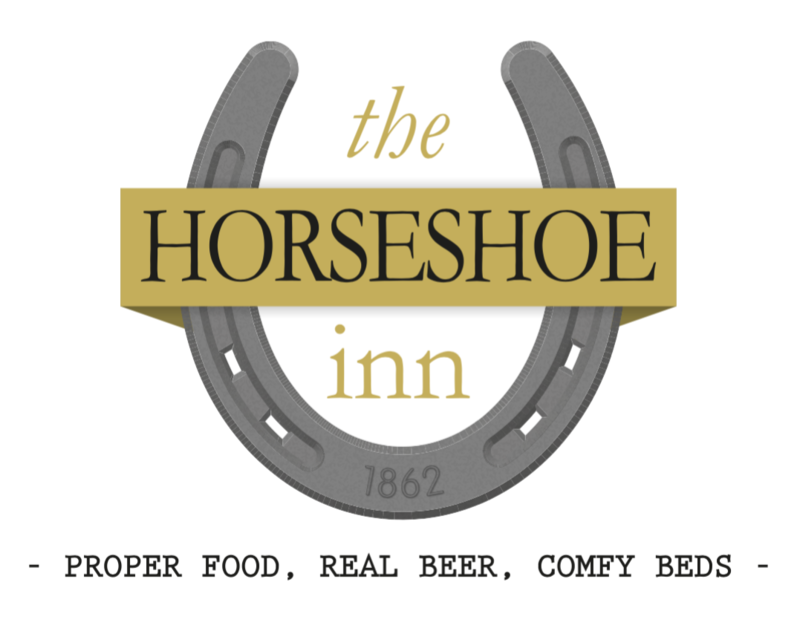 The Horseshoe Inn is located in the village of Eddleston, just north of Peebles and in the heart of beautiful Tweeddale. Food is served noon till 9pm daily. Sunday Lunch is more traditional, with roast Scotch beef & Borders lamb invariably on the menu. We have a fresh childrens menu available 7 days. In the heart of the Scottish countryside but only thirty minutes from Edinburgh. We have eight bedrooms. Small but comfortable; perfect for a foodie break. Enjoy dinner and stroll back to your room. Located in the former Victorian village schoolhouse they’re tucked well back from the road and offer a peaceful night’s sleep. All the rooms have ensuite showers excepting room 5 which has an en-suite bathroom with shower. Room 5 also has more space! We have our best Bed and Breakfast rates only available by booking directly with us. You can use the link below to find us on Google Maps and plan your Journey.